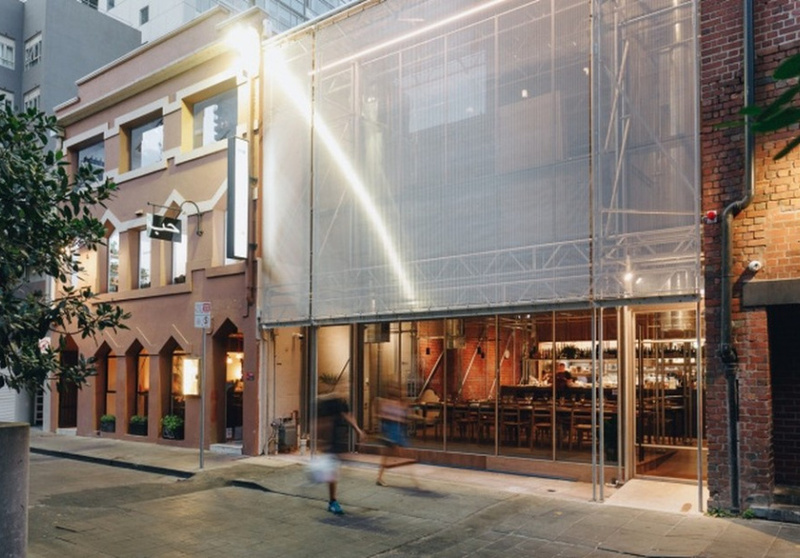 18 Punch Lane was originally slated to become Honcho, a Japanese-Chinese-Korean grill. When chef Adam Liston backed out, operator Adipoetra Halim (of Hotel Windsor) moved onto a different concept. The fit-out, a collaboration between Kerstin Thompson Architects and Figureground is a not-so-sly nod to this period of uncertainty. Rough brickwork, internal aluminium scaffolding and plywood accents clearly reference a construction site. The room has a restrained energy – you won’t have to yell to make conversation. Downstairs, there are two 16-seat communal tables and five coveted spots at the bar, where you can watch young chef Khanh Nguyen do his thing. A roomier mezzanine is upstairs. 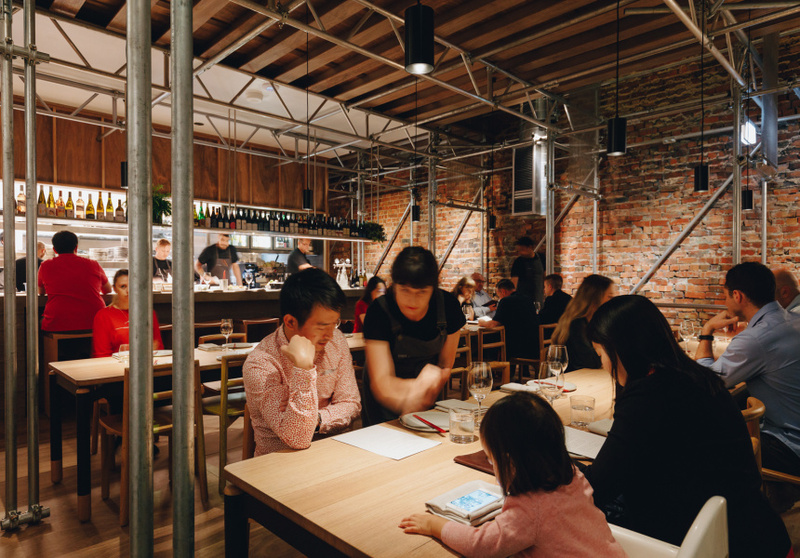 The Vietnamese-Australian moved to Melbourne in 2017, after nearly a decade working with Sydney’s top chefs and restaurants. Even before then, he knew he wanted to change people’s perception of Vietnamese as a cheap cuisine. Cigar-sized baby corn is smoked in its husk and laid on a dark plate in the form of a tiger-stripe. Briny oysters get topped with curry oil and mounted on a little pillar of whipped eggwhite, salt and seaweed powder. And “Vietnamese coffee” is a textural dessert of wattle seeds, cacao nibs, chocolate-and-coffee ganache, coconut granita and condensed-milk ice-cream. The techniques and presentation have more in common with a refined wine bar than a typical South East Asian restaurant. 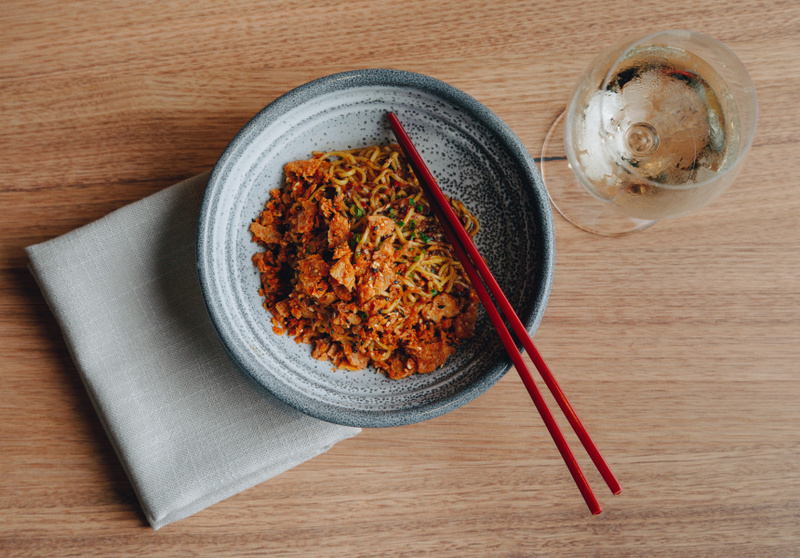 The French-Italo-Australian wine list looks beyond rieslings and other crisp whites usually paired with Asian food. Local highlights include Commune of Buttons’ pinot noir, Cullen’s cabernet merlot and Jamsheed’s Illaj syrah.